The sports quota has turned into just an entry route for better educational institutions rather than an opportunity to enhance the sporting skills and take the sporting career ahead. The attitude is more unprofessional in the professional courses like engineering and medicine where seats are ‘costly’. In a cricket-obsessed country that’s also equally obsessed with education, conflict of interest is but natural. Take Unmukt Chand’s case for example. Technically, with an attendance of eight per cent no college in its right mind would let its student sit for exams. But when you take into consideration that he’s the cricket U-19 World Cup-winning captain, rules and regulations have to be re-written. While his case garnered a lot of media attention and debate, ultimately resulting in a positive outcome for Unmukt, his teammate Ravi Kant Singh didn’t get as lucky. Though having gained admission through the sports quota in to Prafulla Chandra College (Calcutta University), his professor “forgot” to register him under it and thus began all the problems. With a poor attendance owing to cricketing commitment and not registered under the sports quota, he was not allowed by the college to sit for his exams. “Left with no choice, I have now applied in two other colleges and hopefully will be allowed to join the second year, instead of having to repeat my first year,” says Ravi Kant who hasn’t even had the time to celebrate the team’s victory. Universities and colleges across the country have been recognising sporting talent by offering seats through the sports quota, though the percentages or seats may vary. The Tamil Nadu government in a welcome move increased the seats under the sports quota to 500, a major leap from the 100 seats that were allocated till last year. Encouragement for most students trying to walk the tight rope between college and sports comes in the way of lower bars for attendance, ODs, and the facility to take their exams on a later date. “Granting admission under sports quota is a recognition of what they’ve achieved so far and if they want to continue pursuing their sport we can only encourage them and not compel them to do so,” says Dr. M. Sekar, the Dean of College of Engineering Guindy-Anna University. As per the regulations of the Delhi University, a minimum of 66 per cent attendance is required, beyond which special requests can be made to the VC. “There are ordinances in place, where attendance should be given to students participating in sports, but people don’t follow rules,” observes Meera Sood, Secretary, Delhi University Sports Council. She cites instances where teachers don’t grant attendance and put their foot down insisting that it is imperative that a student take up an assignment or test. Delhi University has a quota of five per cent that’s split between sports and extra-curricular activities. The proportion of the split though is for each college to decide. This year, the DU has made it mandatory for all students given admission under the sports quota to sign a judicial stamp paper stating they would continue with their respective sports and also be available for all college and university sporting events. An interesting move considering many discontinue sports once they gain admission to colleges. Though the presence of sports quota across universities is a boon to young sporting talent, looks like there’s still a long way to go till it shapes up to fully justify its existence. It is smooth sailing, by and large, for students admitted under the sports quota in the universities in Kerala. Dedicated seats for such candidates, a liberal policy regarding attendance — or shortage thereof — and the provision for ‘grace marks’ can be said to be the main features of sports quota admissions in these universities. “No deserving sportsperson has failed to get admission to a college under our university,” says Rajan Verghese the pro-vice chancellor of the Mahatma Gandhi University. “We have two seats per batch for sports quota in our degree programmes. However, if a college takes in 20 sports persons and wants to bunch 10 of them in one batch, it can be done. 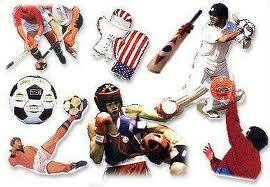 We don’t insist that there be two sportspersons in each class,” he points out. According to Mr. Varghese, there has not been any instance in the MG University during the last four years when a sportsperson had to run from pillar to post in order that he may get the attendance required to write any examination. In Andhra Pradesh, there is nothing sporting about the sports quota in the educational institutions and unfortunately some unsporting methods are used to drive away the real sportsmen. It is shocking, but seldom players from popular sports like cricket, football, hockey, basket ball or athletics get a fair share in sports quota admissions and the lion’s share is grabbed by sports like Ice Hockey, Taekwondo and Roller Skating. Physical Directors in the universities and colleges believe that lesser-known sports are included in the eligibility list by the Sports Authority of Andhra Pradesh to favour children of officers and politicians. “They secure national-level certificates of such games playing for one or two years and participating in the competitions that lack seriousness,” argues a Physical Director. For example, seats in the popular OU College of Engineering have been taken by roller skating sportsmen in the last three years. Admissions in the sports quota are based on the level of the competition played by the candidates and not the marks secured in the qualifying examination. “It is easy to manipulate in lesser-known games whereas it takes at least 10 years to reach national-level in popular sports,” says an official seeking anonymity. Does the university or the individual colleges provide concessions to serious sportsmen? Officials say that at the degree level attendance is taken care of. Colleges traditionally known for sports attract cricketers and athletes offering academic and monetary concessions. Unfortunately, those who excel at the degree level fade out later due to a combination of factors, and the very purpose of sports quota is defeated. According to Ashish Phulkar, Deputy Director, Sports and Physical Education, Symbiosis International University (SIU), Pune, the Symbiosis International University has introduced the mechanism of credits for sports. “Recognition for the talent is important, and the academic institute should ensure that there are no repercussions on the future of the students,” he says. The Academic Council members and the Directors of the various institutes have been co-operative with the implementation of this mechanism. “This is important to build a sports culture. The solutions need to be found within the system, with policy changes that ensure that the students don’t suffer,” says Mr. Phulkar.